Is Chiang Rai worth visiting? With a private car charter, the Chiang Rai tourist attractions can make it worth it! The service is okay. Driver comes early and provides suggestion to itinerary. Explore Chiang Rai and discover the area's tourist hotspots and landmarks with complete ease and convenience with this private car charter, available in one day and two day options! Simply book your charter at least 24 hours in advance on the Klook website app and you're good to go. Choose from two different vehicles, depending on what best suits your travel needs: a modern 3-seater sedan or a van that can hold up to 10 people. Sit back and relax in the comfort and privacy of your vehicle as your driver takes you from one point to another, following your personal itinerary and taking the quickest routes between each destination. At the end of the day, you get dropped off again at your hotel, making sure that your visit is a totally easy and hassle-free experience. English/Chinese-speaking tour guides are also available upon request, for an extra cost. service is great！ cover lots of attractions. pick up and drop off at Chiang rai airport. there's no issue communicate with driver. service is great！ cover lots of attractions. pick up and drop off at Chiang rai airport. there's no issue communicate with driver. The driver was good and friendly. He explained to us about the tourist attraction history. He suggested some places to go on top of our itinerary which we were interested. However, Upon booking the car with the travel agency, we were told that going to queens Mother garden need to pay additional 500baht and we decided to give it a miss and went ahead with golden triangle as replacement. Upon meeting the driver, he was told by the company that both golden triangle and queens Mother garden has to top up 500baht. It was very unpromising by the travel agency that disappointed us. It wasn’t our fault at all and it’s unreasonable for us to top up and we decided to gave both miss. The driver was good and friendly. He explained to us about the tourist attraction history. He suggested some places to go on top of our itinerary which we were interested. However, Upon booking the car with the travel agency, we were told that going to queens Mother garden need to pay additional 500baht and we decided to give it a miss and went ahead with golden triangle as replacement. Upon meeting the driver, he was told by the company that both golden triangle and queens Mother garden has to top up 500baht. It was very unpromising by the travel agency that disappointed us. It wasn’t our fault at all and it’s unreasonable for us to top up and we decided to gave both miss. Excellent Driver and arrange a compact one day tour. English speaking and drive safe. However, we haven’t received any information about the driver nor the car plate number. Can’t reach the local operator nor the Hong Kong office just tell us to call ourselves. All we can do is wait in the lobby on time. Need to improve at least send the driver information and car plate number one day prior. Excellent Driver and arrange a compact one day tour. English speaking and drive safe. However, we haven’t received any information about the driver nor the car plate number. Can’t reach the local operator nor the Hong Kong office just tell us to call ourselves. All we can do is wait in the lobby on time. Need to improve at least send the driver information and car plate number one day prior. The driver, Rick, speaks good English and drives us to new attractions not included in our itinerary. He even contacted me through Whatsapp a day before our trip. I recommend this Chiang Rai Private Car Charter although there's not much to see in Chiang Rai as of this review but the place is a potential. The place can be cold on months of December to February. The driver, Rick, speaks good English and drives us to new attractions not included in our itinerary. He even contacted me through Whatsapp a day before our trip. 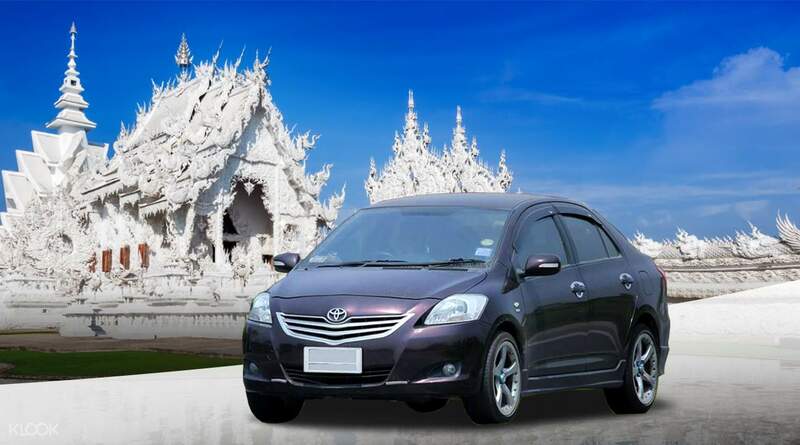 I recommend this Chiang Rai Private Car Charter although there's not much to see in Chiang Rai as of this review but the place is a potential. The place can be cold on months of December to February. Our Chiang Rai Private Charter experience was excellent. We had a driver that understand and can speak English. Driver was flexible to the day trip itinerary, we last minute requested to add in 2 more places to visit and he planed for us the route and make sure we cover the places we wanted to visit. Our Chiang Rai Private Charter experience was excellent. We had a driver that understand and can speak English. Driver was flexible to the day trip itinerary, we last minute requested to add in 2 more places to visit and he planed for us the route and make sure we cover the places we wanted to visit. The guides and drivers were friendly and kind. Great service they provided. They even suggested places to visit for us because it was new and wanted us to explore more. Their recommendations for breakfast/lunch/dinner will great too. Great service, brilliant effort to drive us to Phu Chi Fa was another commendable job. The guides and drivers were friendly and kind. Great service they provided. They even suggested places to visit for us because it was new and wanted us to explore more. Their recommendations for breakfast/lunch/dinner will great too. Great service, brilliant effort to drive us to Phu Chi Fa was another commendable job. We had fun. Uncle Ksam is very friendly and accommodating. He helped us plot our itinerary in a way that we were able to enjoy the trip without feeling rushed. We had fun. Uncle Ksam is very friendly and accommodating. He helped us plot our itinerary in a way that we were able to enjoy the trip without feeling rushed.